← Tech Marvels & The TV Tray! 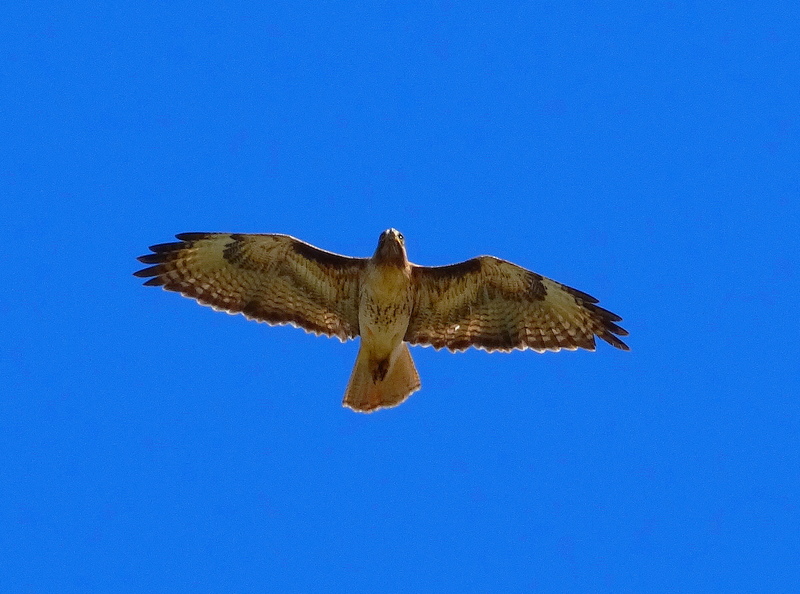 That will be a real treat to see the red-tail in air-to-air combat with other birds. I tell you it is really thrilling! 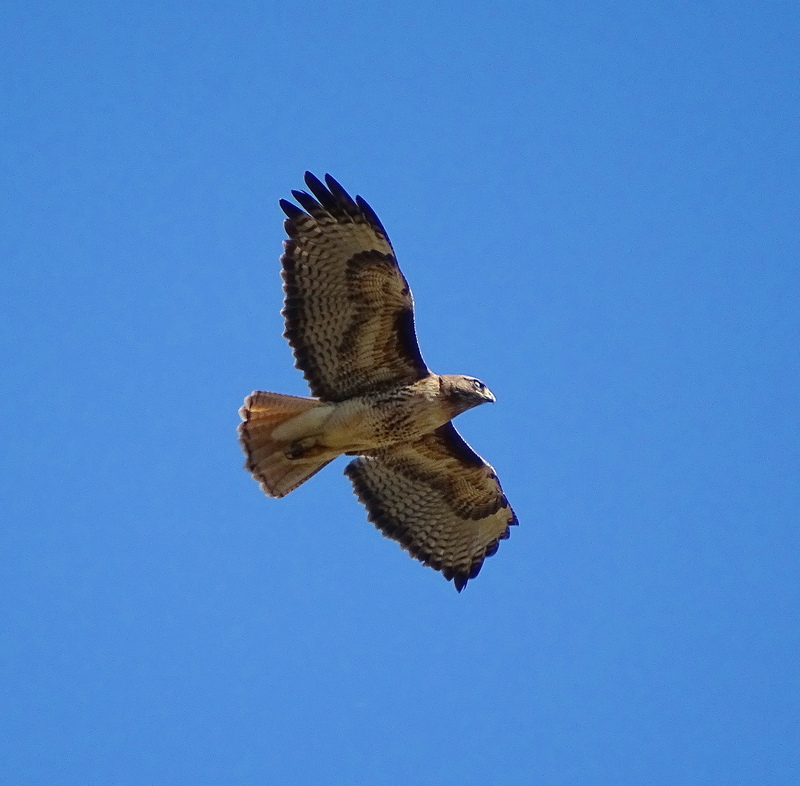 We are 800 ft up from the valley floor, so they are always flying by the windows at eye -level. Their aerial prowess is nothing short of marvelous. When they tuck and dive it is just incredible. Every day is spent with me outside marveling at the splendors of nature. Thank you my friend for understanding this! You’re about to the caliber of a wildlife photographer — these hawks look so clear and detailed. Really nice shots, Cindy! Still have to practice with the redtails, but I notice slow improvement. The process of trying to capture a shot is just so much fun. Thank you Becky! These could go in Natl Geo. Amazing shots. Aaah. Thank you! Still practising, but what fun. Someday I will get THE awesome shot! Until then, I’m having a blast with these guys. They definitely know me. If I lay flat on the ground they will fly closer!! Loved the pics, Cuz. Red Tails are, for me, the king of falcons in their tendency to dominate their territories. Their bravery is only limited sometimes by their size if they go up against something larger. As for ravens, they’re the natural enemies of a Red Tail and will attack a hawk in groups of 2-3 or more. In the end, though, the hawk most always wins the competition. Have a happy tomorrow. I’m just not developing a fondness for ravens at all. They are such group bullies. 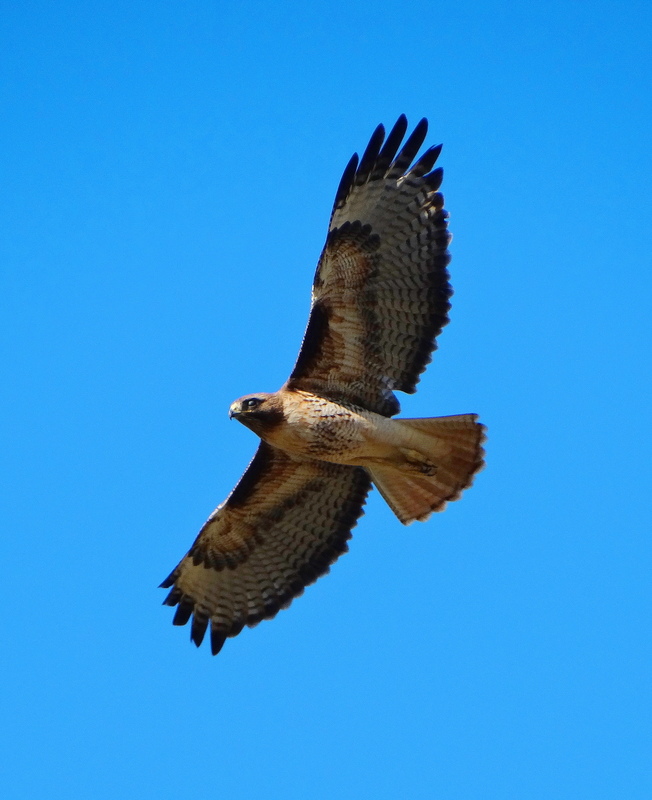 They form groups of 10 or more and harrass the red-tails, the red-tails can outfly them, but they prevent the redtails from hunting and they have babies to feed. One baby I can hear in a tree in the lower pasture. 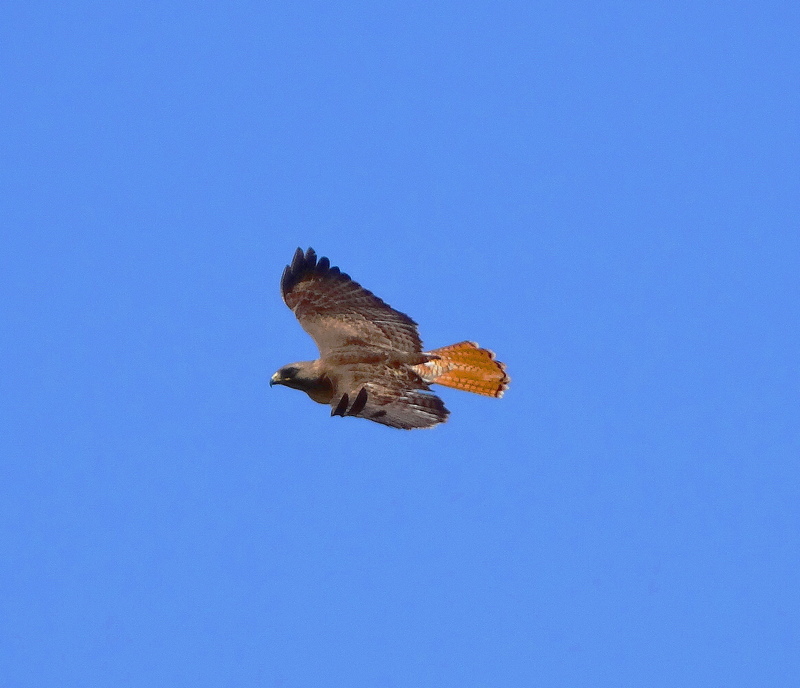 I’m sure the Golden Eagles can take them, but so far they have not disputed the red-tails territory. Cheers Paul & thanks! Wow! Starlings taking on red tails?? Starlings are pretty aggressive. Maybe the red tails are sucessful out here because they co-operate? Combat is always a group effort! Plus they are defending THEIR territory. It’s wild out here, so there is no city/people influence. Yes I have seen both red-tails and golden eagles catch and devour snakes. Once I saw two goldens kill about a 6 foot rattler. They were killing it as I drove up and they flew with it, still somewhat alive, to safety where they consumed it. WOW! Amazing stuff to see in SoCal!! 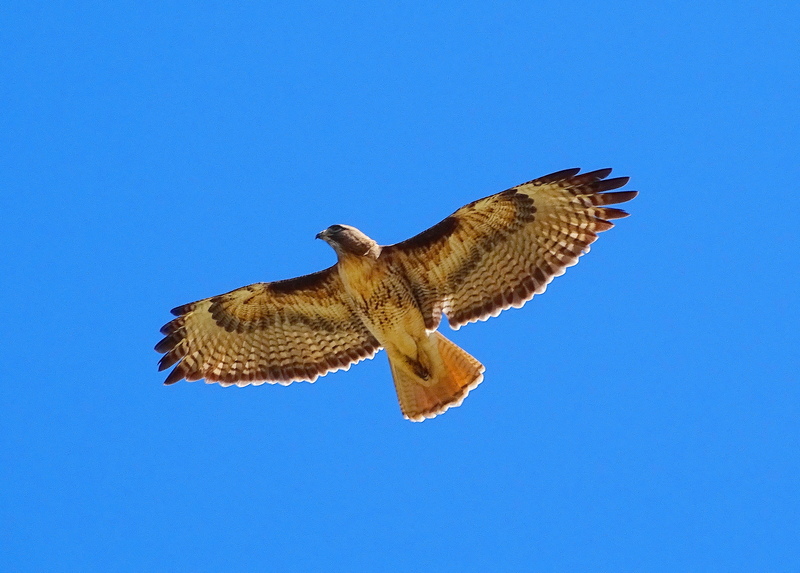 I have a red-tailed hawk in the neighborhood here … it flew / swooped in front of the car the other week (no camera ready of course) … and I hear its distinctive loud call regularly. I understand a professor at the local campus took a pic out the office window of it. Still hoping to get a shot. Magnificent creatures, magnificent shots. Thank you Holly! I want to see your shot when you get it. If you look at my blog you will see the trial and error process of trying to catch these gorgeous creatures. Their calls are so beautiful and always send me running to see what’s up. They call as a threat. Cheers to you Holly! So graceful! And you are getting closer and closer to the “objects of your affection.” These shots are wonderful. What magnificent birds, and great photos! Watching the chase in the sky is really exciting. Good shots. Thank you Scott. I’m getting closer, but still not “there” quite yet……but that’s half the fun, no? What dramas you have in your skies. And I will not be surprised if ,sometime soon, you are up in a little microlight contraption so you can get closer to the birds; how about it? The Eagles, Golden Eagle and Bald Eagle were just looking for a quick meal, the Red Tails babies. If they wanted it would have been a quick battle however, I have noticed that they are slow to anger, humans should study that? They also know that your family (yours and the Red Tails)have a higher power watching over you. Thank you Alastair. They are gorgeous creatures! They were almost hunted out. I cannot imagine killing anything for fun…….Take a photo instead for heaven’s sake! That’s a shirt I should get Alastair!!! You are entirely welcome. Thank you for the appreciation! I have red-shouldered hawks that visit my backyard, watching my birding station. They’re truly majestic creatures. Nice captures. You know what they want to do to your birding station of course. My sister-in-law had a falcon swoop down, kill and pluck a song bird at her station, but she lives in the city. Oddly, enough, because there is so much prey here and so much empty space, the red-tails have never had the slightest interest in my bird stations. There are too many fat gophers, squirrels and rabbits for them to pluck up!! Thank you for stopping by and I appreicate your comments. You are a major photographic talent! Great photography Cindy, perfect timing in capturing these gorgeous hawks. Still waiting for that perfect capture!! Thank you Mary! I will take all of the credit that your wish to give me and enjoy the feeling for as long as I dear, then quickly turn it over to where it belongs, your protectors, your ancestors and Creator! Thank you my friend. Back to you x2 Sachem. 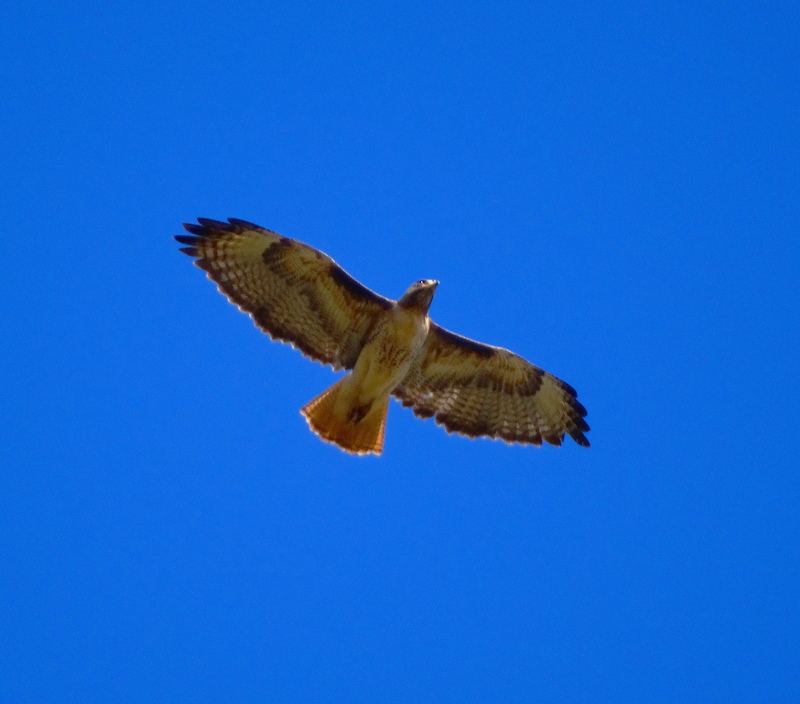 Getting better at the hawk in flight shots, is what I am focusing on and practising. Sometimes I lay on the ground when they are directly overhead….this seems to interest them! LOL! Just make sure there are no snakes around before you do it….sometimes I forget to look!! I have never seen the full clasping or aerial mating that eagles do, but I have seen the courtship flights and they are exciting…….Love your photos!! Great captures of these Red Tails 🙂 They are truly magnificent birds! Just like in a movie! That must have been spectacular to see! Great captures!